Alex Eisen/MDN Minot High junior Becca Tschetter (right) follows through with an approach shot during a practice round Tuesday morning at the Vardon Golf Club. 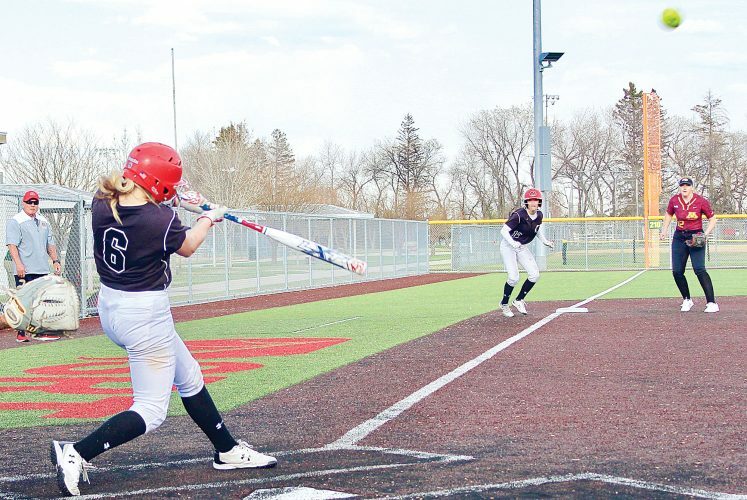 For the first time since Scott Foltz took over the Minot High School girls golf program in 2013, his daughter Marley Foltz isn’t on the roster. It’s a graduation away from the team that’s going to take a while to get used to. 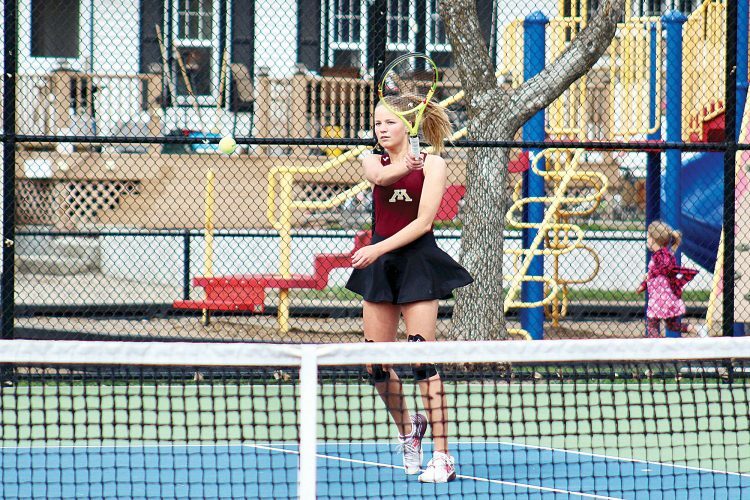 Marley Foltz carded the Majettes’ best individual score (77-88–165) at the Class A State Tournament last year. 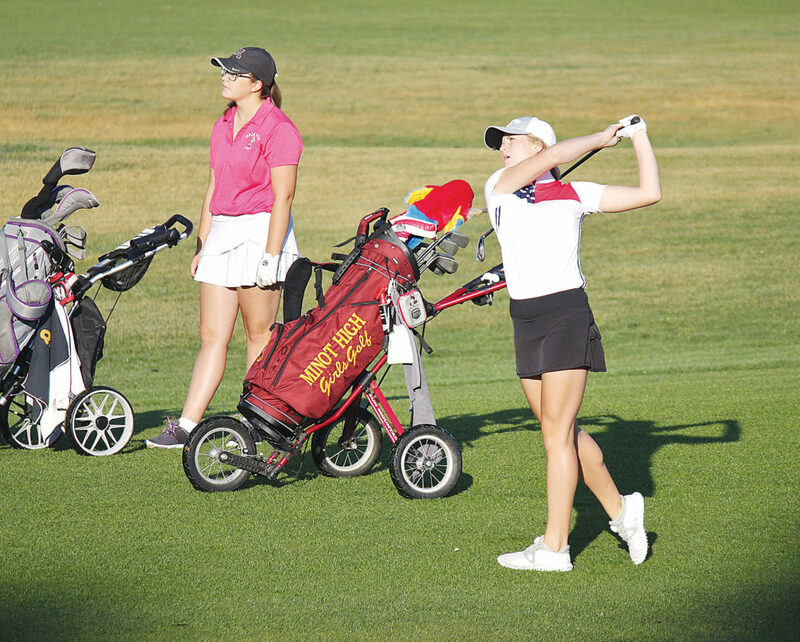 So, while her leadership and scores will be missed, Minot High softens the blow by bringing back the five other golfers who helped produce a fifth-place team finish at the state tournament last season. All five of them — senior Joelle Fettig, junior Becca Tschetter, junior Jaci Jones, sophomore Sydney Berg and sophomore Bella Dobrinski — have plenty of varsity experience to draw from having combined to play in 10 state tournaments during their high school careers so far. The Majettes last won a West Region championship in 2016 and a state championship back in 2009 when they went back-to-back. MHS hasn’t had the state tournament medalist since Jaime Fundingsland won consecutive state titles in 1994 and 1995. One of the Majettes gunning to break that individual drought is Jones. 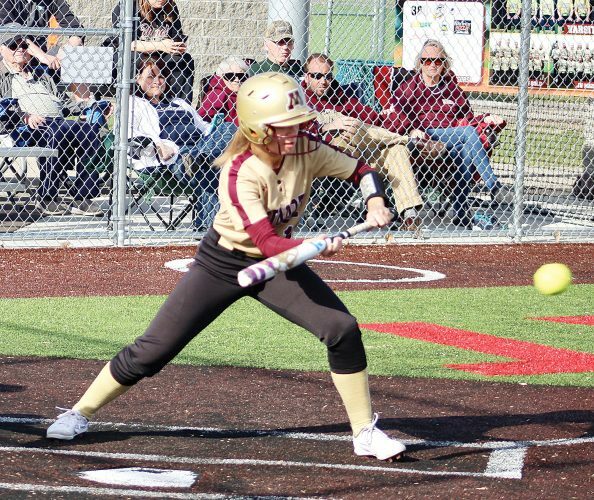 She was named to the All-WDA team last year and was the Majettes’ top finisher in four out of their 10 tournaments, which was tied for the team-high with Marley Foltz. Tschetter was the top MHS finisher in the other two tournaments last season. She took second place at the Minot Invite by shooting a season-low 76. The Majettes host their only home meet of the season at the Vardon Golf Club again on August 27. Foltz believes the strength of his team, at least early on, will be hitting the ball far and straight down the fairway. 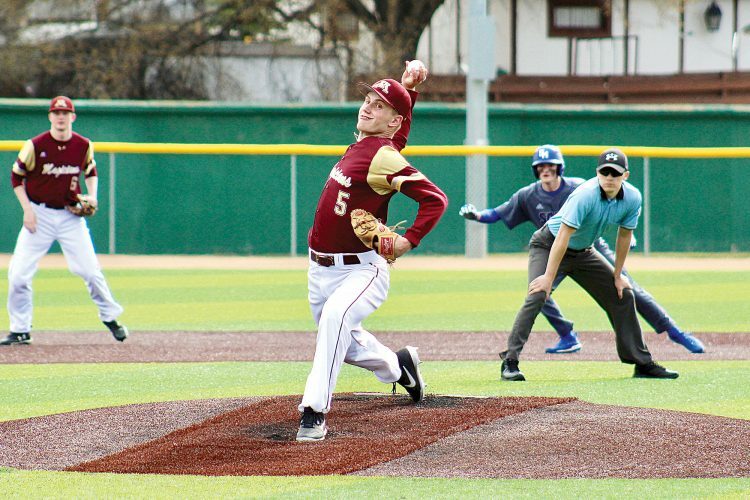 Also, they have a lot of depth to rely on with 25 golfers across the varsity and junior varsity teams, and Foltz hopes that number increases to around 30 golfers once school starts. The Majettes open the season at the Garden Gate Golf Course in Dunseith on Friday. Then, they head over to the Jamestown Country Club for the two-day East/West Classic on August 13-14.